The Internet of Things (IoT) is having a big impact on our future, and one area that it is having a marked effect is encouraging a cleaner environment. Here in San Diego, the Port of San Diego and San Diego Gas and Electric (SDG&E) have developed a blueprint to “green” port tenant operations. 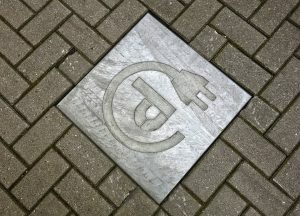 It is a sign that companies are taking their green responsibilities seriously. 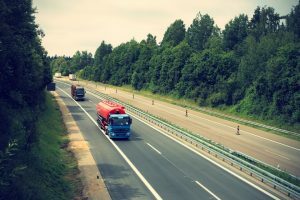 In this article we look at how the IoT will revolutionize our roads by making them clean and more fuel-efficient in the near future. 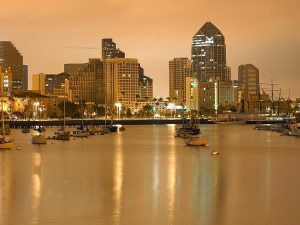 The City of San Diego believes that the smart sensors will improve the city’s infrastructure, and the city is at the heart of a new development to deploy over 3,000 smart sensors to its street lighting system. The press release states that the sensors would have several functions that would help improve the city’s roads: “direct drivers to open parking spaces, help first responders during emergencies, track carbon emissions, and identify intersections that can be improved for pedestrians and cyclists.” The technology will streamline San Diego’s traffic system and therefore make the roads cleaner and more efficient. One area that the IoT will be very effective in is decreasing the carbon emissions of idling vehicles by reducing gridlock. The Globe and Mail in their IoT feature revealed that vehicles idling at red lights burn up to 17% of fuel in urban areas. 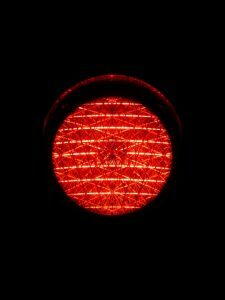 Stoplights with smart sensors will be able to adjust their green and red lights depending on where the cars are and the time of day. One IoT innovation that is currently being trialed before it comes into law this December is the Electronic Logging Device (ELD) Final Rule. The mandate by the Federal Motor Carrier Safety Administration (FMCSA) will require all commercial vehicles to replace their paper log with an ELD. Fleetmatics who have designed an ELD to be used on a smart device note that the main function of the technology will be to reduce human error through accidental, or deliberate, overdriving. Yet the mandate will also have an environmental impact. The ELD will be able to help companies streamline how their fleets operate, which in turn will reduce fuel emissions. The Daily Item reports that ELDs will allow companies to monitor fuel economy which will allow them to find the most cost efficient way to travel. While many fleet companies believe that ELDs will drive the cost of trucking up, the positive environmental effect will be that fleet operators will have to make sure that fuel is used more efficiently. The increase of IoT technologies is leading to an increase in clean energy vehicles. Electric vehicle sales are increasing and sales are expected to be close to 41 million by 2040. Forbes reports that by then a quarter of cars on the road will be electric, and those cars will use 2,700TWh of electricity, which will displace 13 million barrels of crude oil per day. In San Diego one clean tech company has plans to develop the technology that will allow electric vehicles to feed their energy back into the grid. Nuvve, in partnership with the University of California San Diego are designing a bi-directional electric vehicle that will turn cars into batteries to help power cities using unused clean energy. The IoT is rapidly changing our roads and is looking to be the most viable and effective way to make our roads clean.